Last July I attended the first Edcamphome , and today those same amazing organizers brought us back together along with some new folks for the second edcamphome. Armed with experience, Kelly, Shawn, David and Karl created an even richer experience for the participants who gathered to talk about everything from GAFE in the classroom to the Concept and Practice of Rebellion. The sessions were all published on youtube, and you should definitely check them out if you have the time (session 1 and session 2). I’ve written before on the unconference format of edcamps and its virtues. Online edcamps like edcamphome or edcamp online take edcamp to a whole other level. Although there are obvious technical challenges to hosting synchronous google hangouts (challenges dealt with brilliantly by our organizers), the ability to connect with teachers from across the nation and even the globe about shared concerns, challenges, and sources of inspiration is mindblowingly awesome. This edcamp experience was by far the most valuable one I have had to date mainly because I connected with teachers and began really vital conversations about questions that have long been on my mind. The session I was most excited to attend was one suggested by Peter Gow who posed a question that has been on my mind for as long as I’ve been an educator: What do independent and traditional public schools have to say to one another?” Although the conversation only included independent school educators, we had a rich conversation about some of the challenges we face as connected independent school educators in terms of creating deeper connections both amongst ourselves and with our public school peers. Discussing the seeming dearth of independent school educators connected on twitter or attending events like Edcamp home with Chris Thinnes, Chuck Maddox and Vicky Sedgwick was fantastic, and we began a conversation that I hope will continue via a new, yet to be determined hashtag and twitterchat. We all left the session excited to meet up again and perhaps begin to bridge the divide both between independent school educators and public school educators, and address the gap that exists between connected independent school educators and those who aren’t yet. Talking with such passionate, experienced, indy school educators certainly made my day, and inspired me to get back to the work of this blog which I have been long absent from, and for which I am exceedingly grateful. The second session I attended was on the subject of rebellion, and although I did not have the chance to participate for the full session, I again left feeling inspired and energized by the fantastic educators who shared their time to talk about the role of rebellion in education. The greatest conclusion we came to when addressing the question, how do teachers become accepting of rebellion in the class was to pose rebellion as really just critical thinking in action. We want our classes to be places where students question and examine all sources, ideas, and assignments with a critical eye. Believing that education is the basis of informed citizenship, I left the chat thinking that actually what we meant by rebellion was really active participation. We want our students to actively participate in every aspect of our classes even if that means questioning our assignments or our ideas, and if we build a community that allows for this type of questioning then we have done a good part of our jobs. So again edcamphome was revolutionary. It was definitely a great way to wind up winter break. I look forward to future edcamphome experiences and to maybe even using the experience as a platform to bring more independent school teachers into the fold. So again, we all want to change the world and edcamphome has allowed us to find comrades with whom to take a few small steps in our own edurevolutions. We are, afterall, always #bettertogether. As a teacher and lifelong learner, I absolutely love podcasts. You can find limitless inspiration and terrific resources via the talks, videos, and conversations broadcast with teachers in mind. Rita Pierson’s Talk is one of my favorites and something I believe every teacher should watch. I subscribe to a bunch of really good ones including the ones at Teacher Cast and NPR Education and Ted Talks Education. We also use podcasts in our American Studies Class as well for example: Studio 360’s American Icons episode on Buffalo Bill’s Wild West Show and The History Guys episode on the War of 1812. Most of our students love the podcasts although some of them have stated that they would prefer a reading as they have a hard time concentrating for long stretches of time and are afraid they are missing key points. I am a huge fan of audio books as with 4 children it is often the only way to satisfy my appetite for books and keep up with our crazy, busy life, so I don’t necessarily understand how hard listening or viewing at home is for some of our kids. For great resources from the New York Times including podcasts visit the education blog. I consider myself pretty tech savvy, but I haven’t until now delved into the world of Wikis. Sure like the rest of the internet using world I have used Wikipedia, and I have also seen them used to a great deal of success by my PLN on twitter and have visited various Wikis that archive twitter chats, but I haven’t ever created a Wiki or used one in a class. That is all about to change and I am so grateful to Shelley Paul @lottascales and her 23 things class for pushing me in the Wiki Direction. So for those of you who are new to Wiki’s like myself I thought I would chart my learning process. I began by viewing this video: Intro to Wikis and by exploring some great Wiki’s Shelley had selected for us. I really appreciated Thousand and One Flat World Tales where I found the stories written by Korean students incredibly insightful and informative given my ESL teaching experience with our wonderful Korean students. What I most liked about Wiki’s is the ability for many people to collaborate in real time and to create something together. I plan on using a Wiki with my ESL History students this year and may even start one to help students find resources for their research papers. Resources for History Teachers is an award Winning wiki with boatloads of great resources. I found the APUSH resources especially good. Cool Tools For Schools is another award winning Wiki that is incredibly well organized and links to tools students can use to collaborate, create presentations, film and edit movies, record podcasts, organize projects, and stay on top of homework. So what is your favorite Wiki and how do you use them in your classes? Leave a comment to start a conversation! Here are some free web 2.0 tools I’ve discovered or just gotten more proficient with because of our 23 things class. 1.Bubbl.us– is a cool concept mapping tool that allows you to brainstorm, visually outline ideas, and has some easy to use shortcuts that make the processes simple. I have used Inspiration with visual students in the past, but you have to pay, and bubbl.us is free. I will definitely turn my kids onto this tool especially when we begin the research project this fall. 2. Haiku Deck– A wonderful presentation creation app that is free and visually beautiful. I have seen some really terrific presentations from ISTE and on twitter. This is a tool I will definitely use this year and teach my students. 3. Timetoast- Since xtimeline no longer seems to work well, perhaps we will use timetoast this year instead. Although you cannot create collaborative timelines, students can create individual timelines and then put them on our class blog. The interface is really easy to use and I can see the utility of this tool for group and individual projects in the upcoming year. 4. Voicethread– A great tool that allows you to record voice comments to videos, pictures or documents. There are so many possibilities for this tool. You could use it to give feedback to students, have them give feedback to each other, or create a narrative for a picture or video. The possibilities are endless and this is the tool I am probably most exited about using this year. I think my ESL students will love using it to practice their spoken English and interact with each other. I think we may use it this year with our WPA poster project in American Studies. 5. Weebly– Our school has used Weebly in several classes, and this year we will go back to having students create a website based on an artifact from Special Collections at the University of Virginia. We did this two years ago and it went really well, but we had to rely on google sites and they just aren’t as slick as what students can create with Weebly. I am also going to have my ESL History students creating sites based on famous Supreme Court cases as a way to introduce them to the constitution and the Judicial Branch of government. Webtools4utouse Wiki – A great site with a terrific layout that provides you with great tools to do everything from screen casting to pod casting, web sharing, and curating. I will be spending a great deal of time exploring this site in the coming weeks. 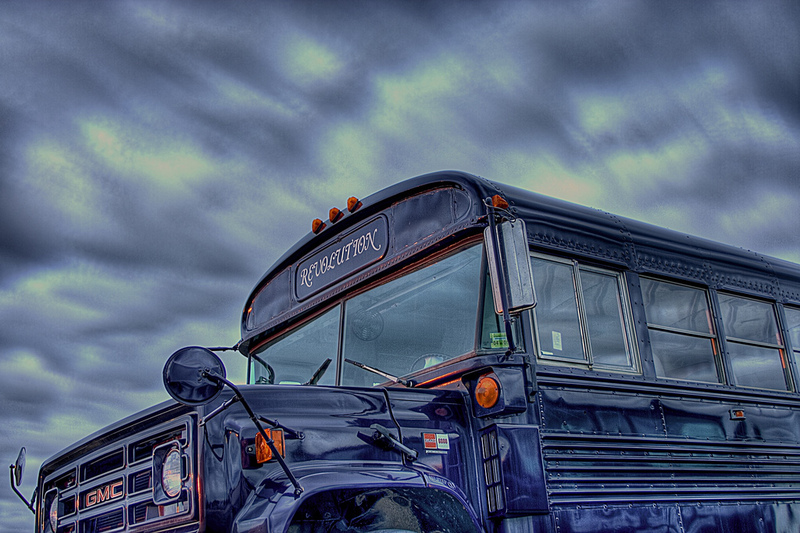 Teaching in a 2.0 World: Why Tech Matters, but not as much as some would make us believe. I am currently taking an online class offered by k12learning20 based on the 23 things program to introduce teachers to different Web 2.0 resources. Although I am already fairly fluent in many of these tools, I am very much looking forward to expanding my skill base. Our Thing 3 assignment requires us to complete a blog post on the meaning of teaching in a Web 2.0 world which is fortuitous because the questions presented have been bouncing around in my brain for a while now. This post is just the first part of what I am thinking of as a series examining my experience teaching in a web 2.0 world and the continuing relevance of the traditional tools of teachers. First of all, I believe in technology and I believe that every teacher has not only the opportunity, but more the obligation to become fluent in the latest tools of the trade. My teaching has improved as a result of the resources and ideas I have gotten from twitter chats, my experience at edcamprva, and other professional development opportunities. Our American Studies class is very techie, and so is pretty much every class I teach. We use a variety of web 2.0 tools and our students have benefited from our increased knowledge. All that said, I have to say that I think we are overestimating the impact of web 2.0 tools. Sure they are great and readily available, many for free even, but a good tool will never replace a good teacher and too much of the language bouncing around the educational world seems to suggest otherwise. I also worry about how quickly the standby tools of the trade i.e. lecture or even the idea of the teacher as the expert are so quickly dismissed as 20th or 19th century ideas that are some how no longer relevant in today’s 21st century world. I disagree. I think that every teacher has a toolbox of things they do well some are cutting edge and some are older than any of us. The goal of education especially in the humanities classroom is to teach students to think critically, develop a level of cultural literacy, and frankly be able to retell the stories/histories that make up our curriculum and give each story their own slant. Web 2.0 tools definitely can help with that process, but so can great lectures, in depth reading, and other tools that have been around centuries. Furthermore, I refuse to believe that we live in a world where knowledge no longer matters. I also believe that we have an obligation to our students to be fluent in their world and their world is certainly increasingly a web 2.0 world full of Twitter, Instagram, Facebook, Tumblr to just name a few. We, as teachers and really as people sharing the world with the generation of digital natives, should also understand and be able to participate in this world. 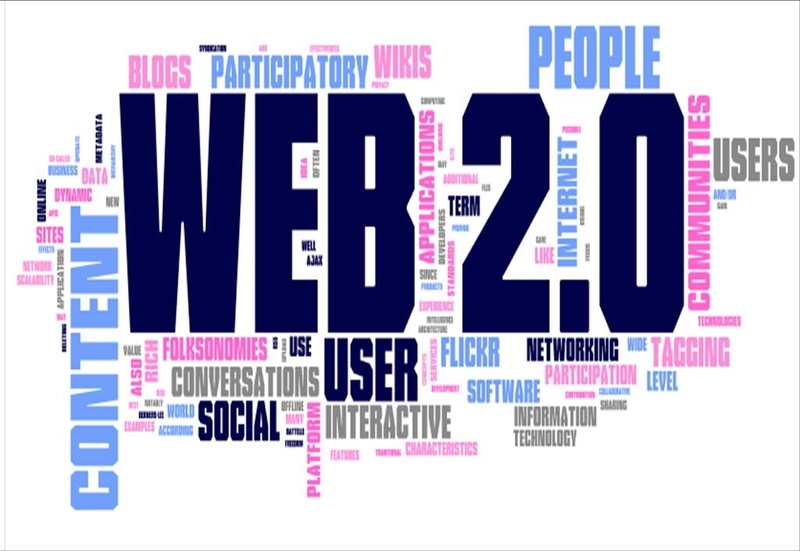 So what is the meaning of web 2.0 in the world of education? My answer: The tools available to us in the Web 2.0 world are what we make of them. It is a world we need to own and share with our students, but not rely on to the exclusivity of all the other tools in the box. I’ll be writing on much of this in more detail in the coming weeks. “Because knowledge is available on every Internet-connected device, what you know matters far less than what you can do with what you know. Now that many mobile phones can access more information than is held in any library, the idea of school as the place you go to acquire knowledge is an anachronism. Perhaps it is because I am at heart an English teacher or maybe it is just my own education, but to me the idea that we no longer need to own knowledge because we can always google the answer to any question is depriving education and, for that matter educators and students, of soul. Of course developing 21st century skills is a vital and central part of education today, but the seeming acceptance that schools are not a place where students acquire knowledge both for its own sake and for their own edification as human beings is detrimental to the entire educational process and to our students. Luckily, although my school is determined to educate students for the 21st century and impart 21st century skills, we have not moved away from the belief that the students do actually need to own knowledge. We are not forced simply to show children how to use the mountains of information at their finger tips. I am allowed and encouraged to turn kids on to books, words, and histories that will inform their being and to hold them accountable for the knowledge we impart in our courses. While analysis is key and central, students are expected to leave our class knowing basic civics including the bill of rights, the separation of powers, a few poems by heart, and the basic trajectory of all of American History. We hope they leave with more, but our goal is to make them active, curious and engaged citizens. To become engaged citizens, they must possess more than a device to access knowledge. They must own knowledge itself. The best moments in reading are when you come across something — a thought, a feeling, a way of looking at things — that you’d thought special, particular to you. And here it is, set down by someone else, a person you’ve never met, maybe even someone long dead. And it’s as if a hand has come out and taken yours. You can’t google that experience, and you can’t duplicate it by looking it up. You have to experience it, and you have to have teachers who help you acquire to knowledge to access that skill, that level of empathy. How can one truly know and love a poem if he/she can’t recall from memory two or three lines? How can you understand history if you don’t know some major dates and ideas without turning to wikipedia? 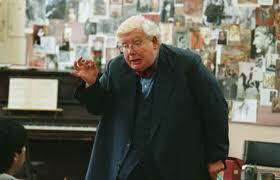 Another great moment in the play comes when one of the students expresses his hatred for poetry. Hector explains that what he is teaching these boys isn’t for any test. He tells them “to learn it now, know it now and you’ll understand it whenever” they need it. They are, according to Hector, “making their deathbeds.” It is because education is about so much more than test preparation and 21st century skills. It is about preparing for a life of meaning, and I do not think any student now matter how good their 21st century skills are can find that on a search engine. So on this point, I have to respectfully disagree with Tony Wagner and his echoes. Students do need more than just schools that teach 21st century skills. They need schools to be places where they acquire knowledge. They need help “making their deathbeds” and preparing for a life of meaning.